Many unit blocks and high rise apartments have a lot rooms that are exact mirrors of each other. 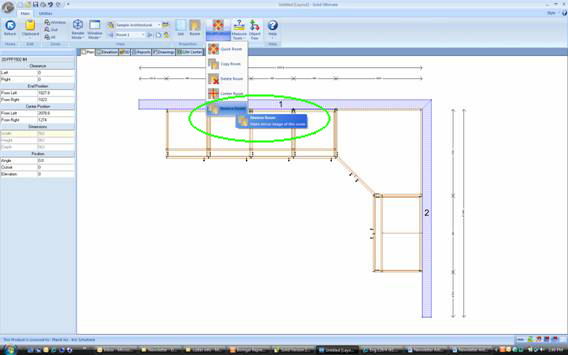 After drawing a job up it is possible to click the Modifications button and then click “reverse room”. This will give you a mirror of the job. Furthermore to this valuable tool, you can also save away cabinets in the reverse position. 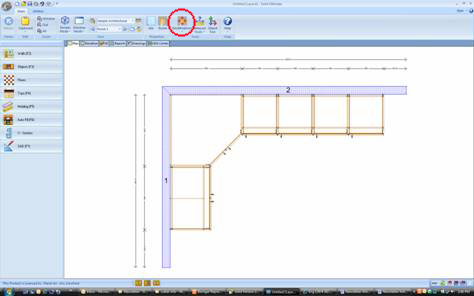 Eg, if you have a cut out on the left hand side of the bottom of your cabinet and you haven’t yet created one for the right hand side, you can click reverse room and then save that cabinet away into your library. This will enable greater flexibility when constructing custom cabinets. In the first image the location of the modifications tab is highlighted in red. In the second image you can see the room has been reversed, and I have also shown the location of that particular tab.